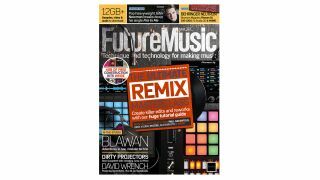 The Ultimate Remix Masterclass – including 4GB of free construction kits! Tackling a remix can be a daunting prospect; whatever the original source material you’re working with, whether it’s a lauded classic or a close friend’s latest release, you’re effectively messing with somebody else’s creative work. How faithful should you be to the original idea? How can you put your own stamp on it? How can you take the ideas in a new direction while keeping it recognisable to fans of the original? It’s these questions we’re tackling in this issue’s massive Remix Masterclass. 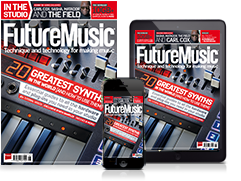 Not only are we bringing you our usual crop of tutorials and video guides, but we’ve also got expert advice and insight from the likes of Joris Voorn, Paul Oakenfold, Photek, Gui Boratto and more. On top of that, we’re even including 4GB of free construction kits to help you to flex your creative skills.